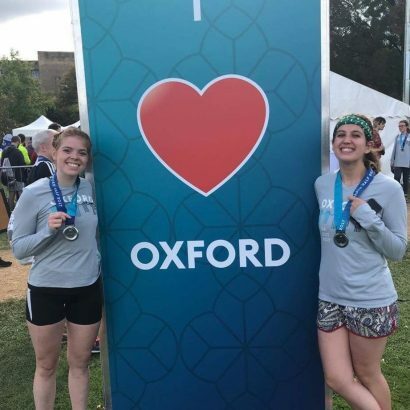 Congratulations to Mia Donn and Olivia Kinsey, who completed the Oxford Half Marathon in aid of Daybreak on Sunday, 8th October. Mia and Olivia joined 8,357 runners on the beautiful course around Oxford City Centre, starting in Broad Street and finishing in Parks Road. Olivia achieved a fantastic time of 1:55, with Mia coming in at 2:24. Both were delighted with their times and certainly look very pleased in the photo! Thank you very much to both girls for choosing to support Daybreak – the total on their Virgingiving fundraising page currently stands at £400, and it is not too late to add your support!